The International Bar Association’s Human Rights Institute (IBAHRI) and seven co-sponsoring organisation -The Law Society of England and Wales, Lawyers for Lawyers (L4L), the Bar Human Rights Committee (BHRC), Union Internationale des Avocats (UIA), Lawyers Rights Watch Canada (LRWC) and Judges for Judges (J4J)- wrote a joint statement to highlight the ongoing challenges faced by the legal profession in Turkey. “The International Bar Association’s Human Rights Institute and seven co-sponsoring organisations note the Special Rapporteur’s report on Turkey and call on the government of Turkey to ensure effective implementation of the recommendations. We share concerns raised about the widespread use of torture and other ill-treatment in the aftermath of the attempted coup and the lack of effective investigations. We are deeply concerned by the gravity and number of reports of torture we continue to receive, such as the reports early this week of 80 persons tortured by the police at Mersin Provincial Security Directorate. 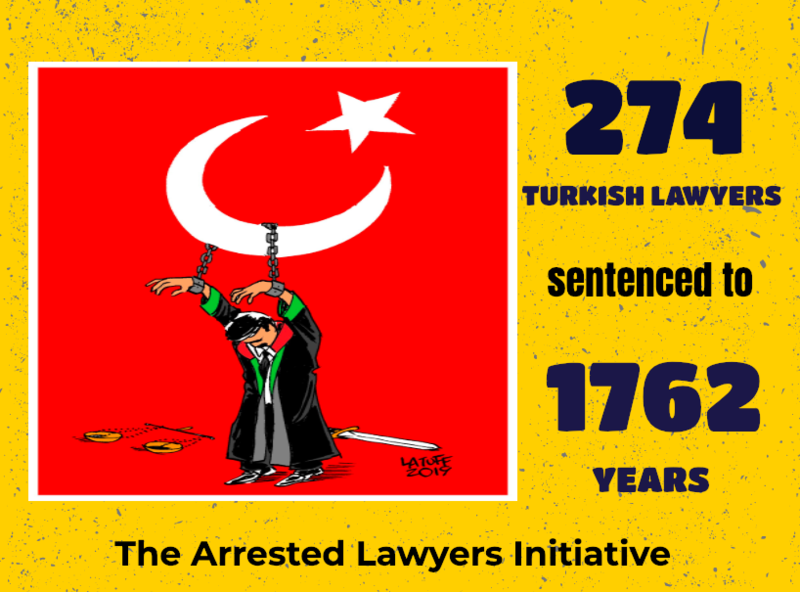 Also of concern are the widespread and systematic arbitrary arrests and detentions of judges and lawyers in Turkey.  More than 4400 judges and prosecutors have been investigated with more than 2400 put in pretrial detention. These reports also indicate the use of torture, ill-treatment and excessive solitary confinement against legal professionals, which can be highlighted in the case of a senior judge held in solitary confinement for more than a year and a lawyer arrested with 17 colleagues who were allegedly tortured by prison officials. Finally, on 5 January 2017, the Prosecutor’s Office in Trabzon ruled that Decree Law No. 667 grants State officials immunity for any act committed within their duties under the state of emergency decrees, including acts of torture and ill-treatment. The prohibition on the use of torture and the duty of states to prevent and punish torture are non-derogable rights under international human rights law and, therefore, cannot be limited or suspended under any circumstance. We call on the Special Rapporteur to investigate and recommend remediation of the potential impunity for torture granted to State officials.